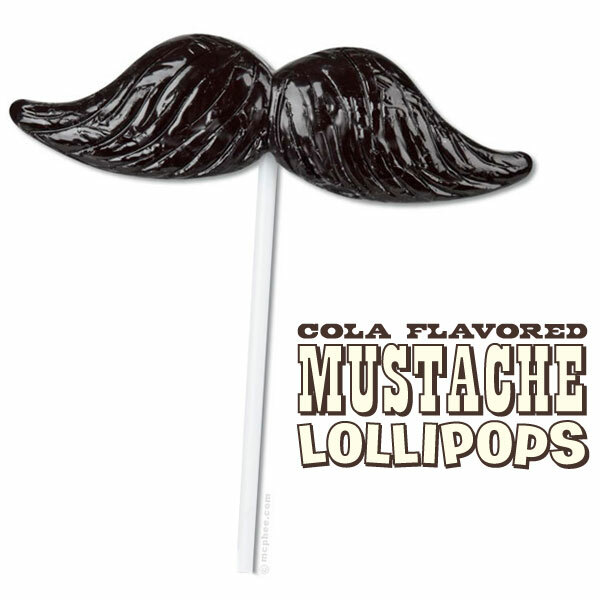 Mustache Lollipops « Gluttoner: You gonna eat that? Ever since gummy worm dreadlocks were discontinued for sanitary reasons there has been a lack of good quality candy disguise combination items. But my fellow fans, I feel like I’m back at home in Mypos because now we are so happy, we do the dance of joy, all thanks to the new Mustache Lollipop. It’s both a lollipop and a disguise! Each one has the delicious flavor of cola (I’m guessing regular cola and not mustache cola, but you never know).